There is no denying it: teenagers take their prom seriously. It is a night where they can dress up and look their best. Nothing suits well-dressed ladies and gents more than a chauffeured ride to the ball. A regular car will not do justice to a special event in a teenager’s life. Arriving at any prom requires a very special mode of transport and Kent Atlantic’s limos are the top choice. Most of our limousines are white, the perfect colour for a night of glamour. Those wanting more flair, can hire our red-roofed Lincoln, the gem of our fleet. It seats up to eight passengers and it is one of just two such vehicles in the UK! The sheer beauty of this limo will turn heads and prepare everyone for your grand entrance. Teens can make the ride to and from the prom more fun by sharing it with their friends. 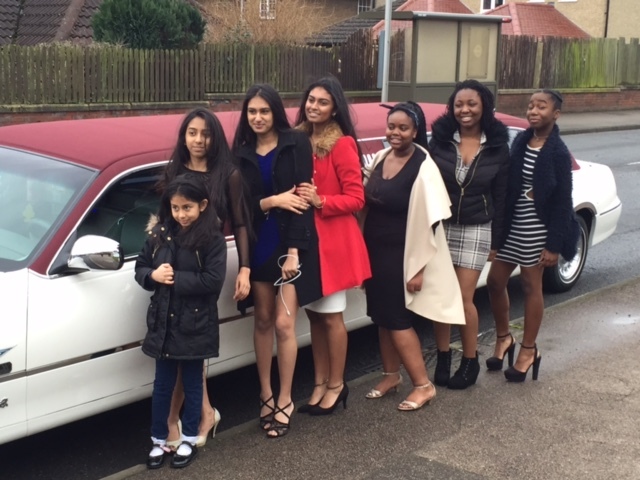 All the limousines in our fleet can carry eight passengers. Bigger groups can opt for our Ford Excursion 4×4 vehicle that comfortably accommodates 13 people. Special laser lighting in the Ford Excursion can set the right mood for a fun night. Kent Atlantic maintains all vehicles to a high standard and ensures that all our vehicles comply with UK and EU regulations. Ensuring the safety of all our passengers is a top priority for our business. Young passengers and parents alike will enjoy the night with peace of mind. We only hire qualified chauffeurs to drive our limousines and each Kent Atlantic Limousine driver undergoes an enhanced Criminal Records Bureau (CRB) check. Each limousine is spotless; our clients will never find a cleaner car. With a wide range of vehicles, our business provides cars for a range of events, including corporate functions, parties, special engagements, weddings and, of course, school proms. Whatever your event, you can always rely on our high standard of customer care. Call us now to inquire and reserve your next ride.